Cardona, better known as “J,” worked for 17 years creating dance, fitness and yoga wear, as well as lingerie, and dance costumes. Her dance studio offers Salsa and Hip Hop classes for kids and Belly Dance, Zumba, Yoga, Pilates, and Pole Dance Fitness classes for adults. 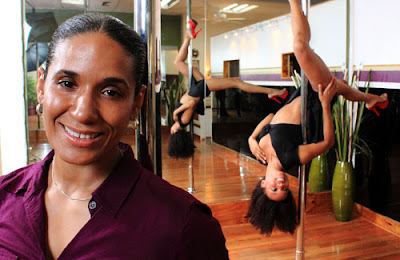 pole dancing combines elements of modern dance, gymnastics, and ballet, Cardona says. Cardona says her biggest challenge was installing the poles. After a lot of research and planning, she finally figured out how to install six removable poles that can hold up to 250 pounds a piece. Since business is booming, she now plans to install four more. Cardona had initially planned to open a clothing boutique, but when she saw 3037 Webster Ave., she knew the space could be more. With the help of her mother, Myrna Colon, the two women transformed the former karate studio into a dance studio, as well as a clothing boutique. Not a dancer by trade, Cardona employs professional instructors for her dance classes, which she also takes part in. Meanwhile, she is in the process of receiving her certification in Pilates and Yoga instruction. RizzQue opened inauspiciously on Dec. 4 at the beginning of a rough winter. “The snow storms didn’t help,” she says, shaking her head. But word of mouth is slowly building her clientele. Vilchez says that’s exactly why she comes. “I can totally relax when I come here,” she says. As a lifelong Norwood resident, Cardona wanted to add something positive to the neighborhood. Ed. Note: A version of this story was published in the latest edition of the Norwood News. Although most of the adult classes are geared towards women, the kid’s classes are co-ed and are intended for children ages 5 -15. 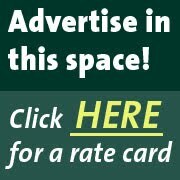 For more information, call (718) 882-1000 or visit www.rizzque.com. This story was updated from an original version on 7/25/2011.